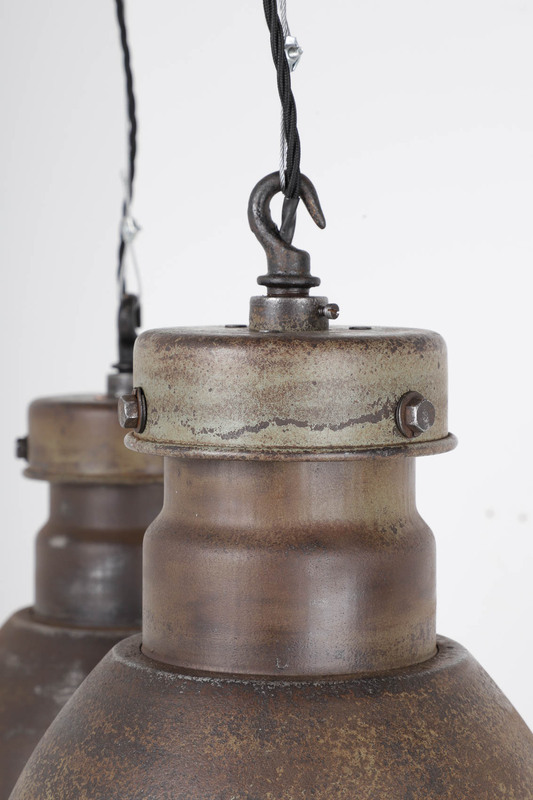 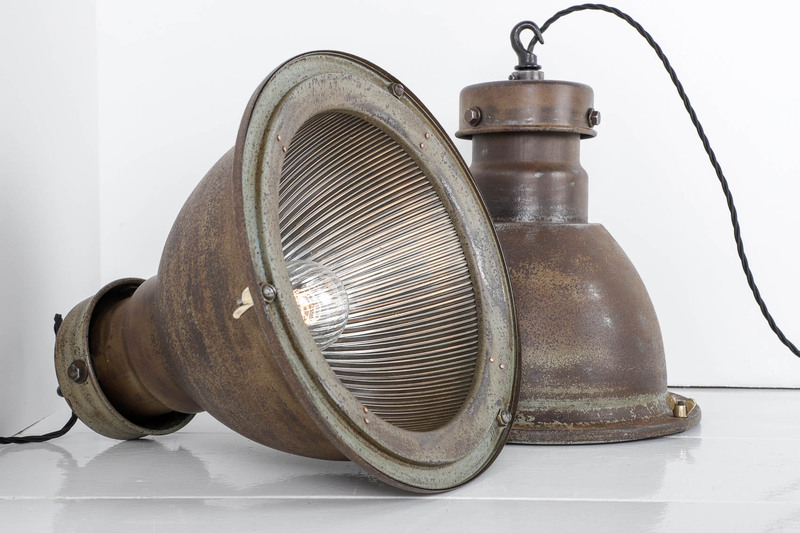 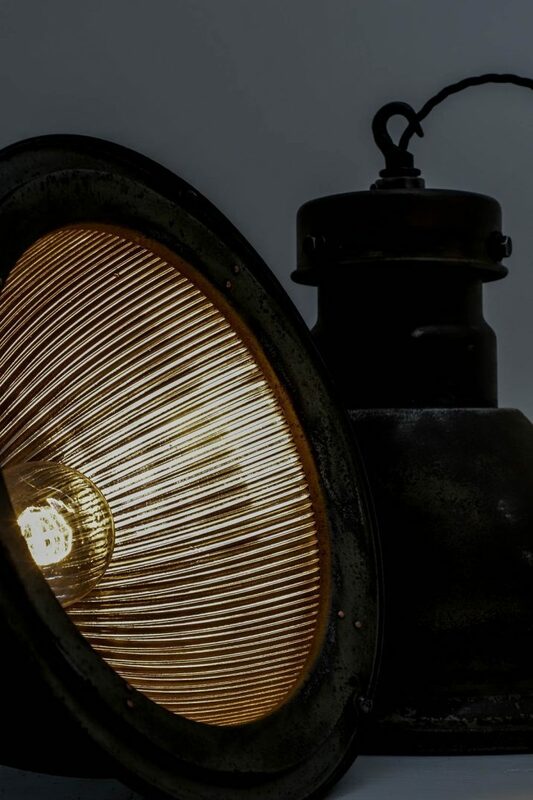 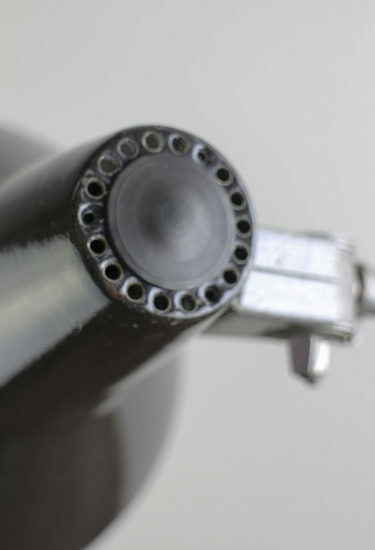 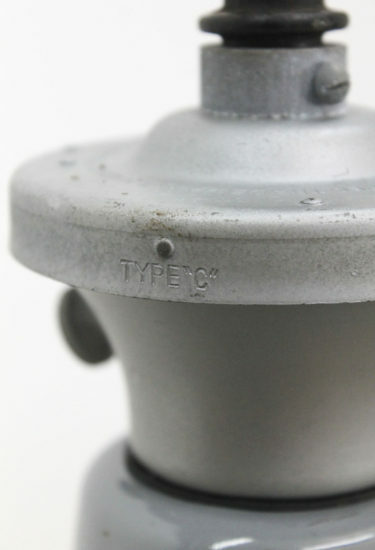 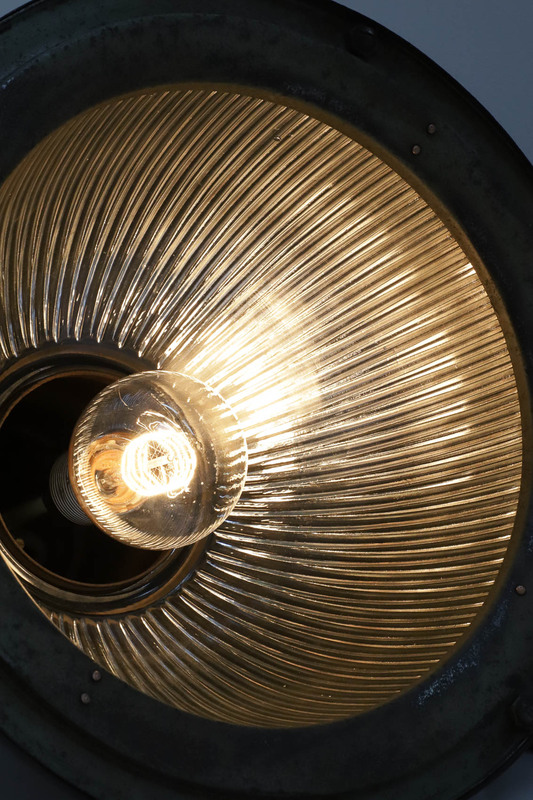 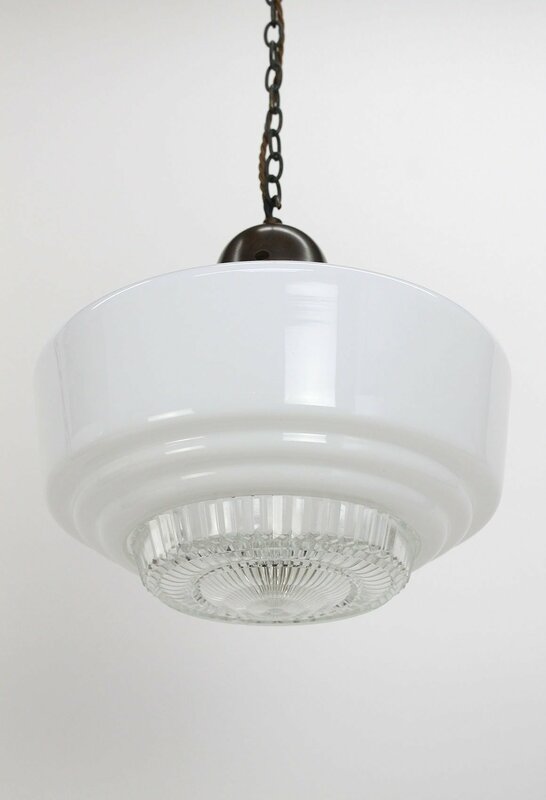 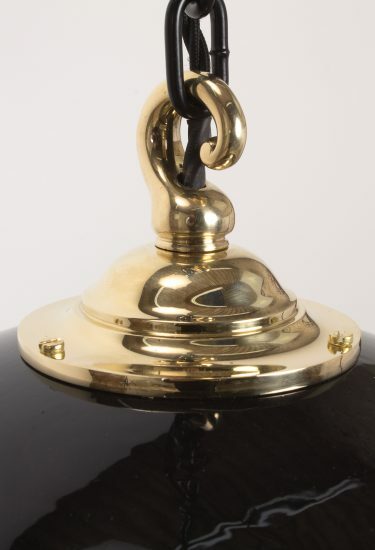 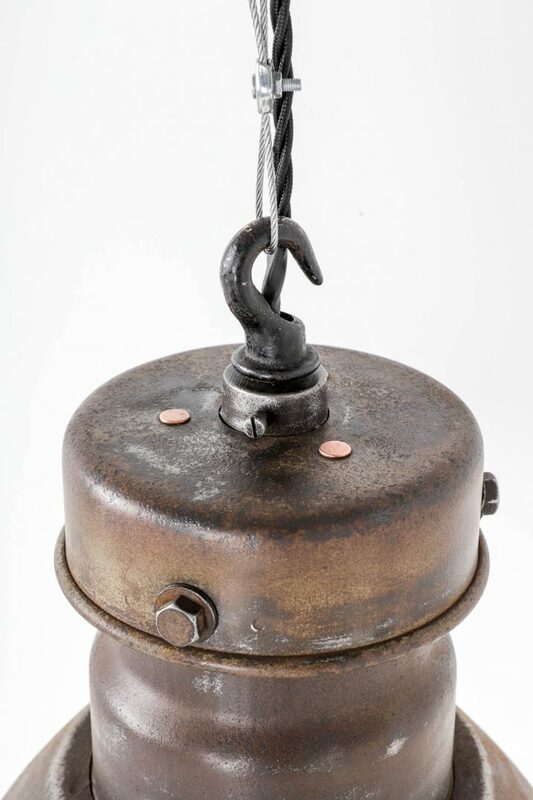 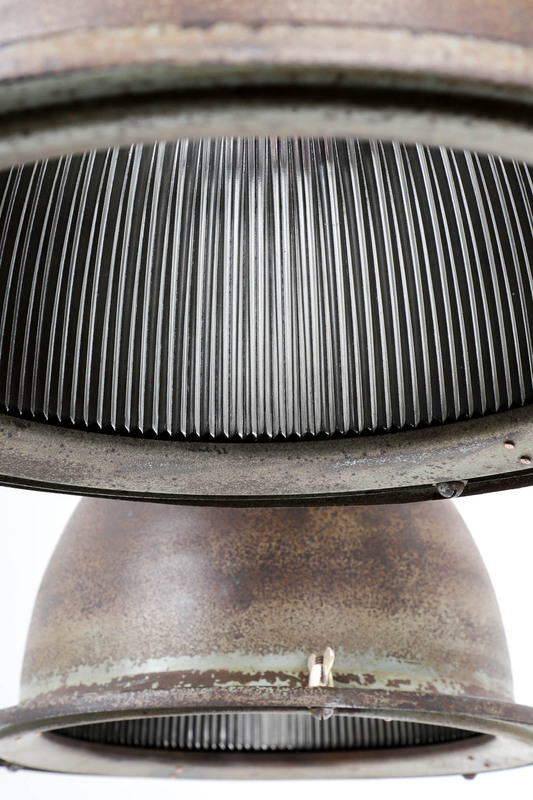 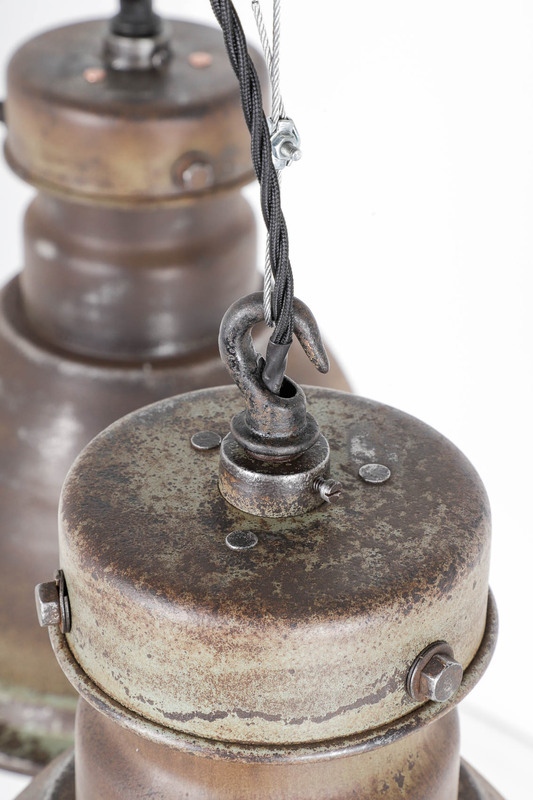 A run of rare industrial Holophane pendants lights. 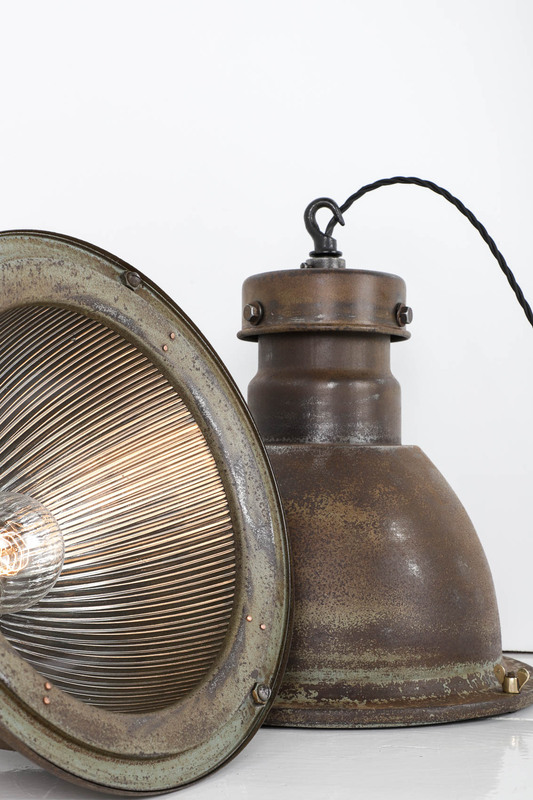 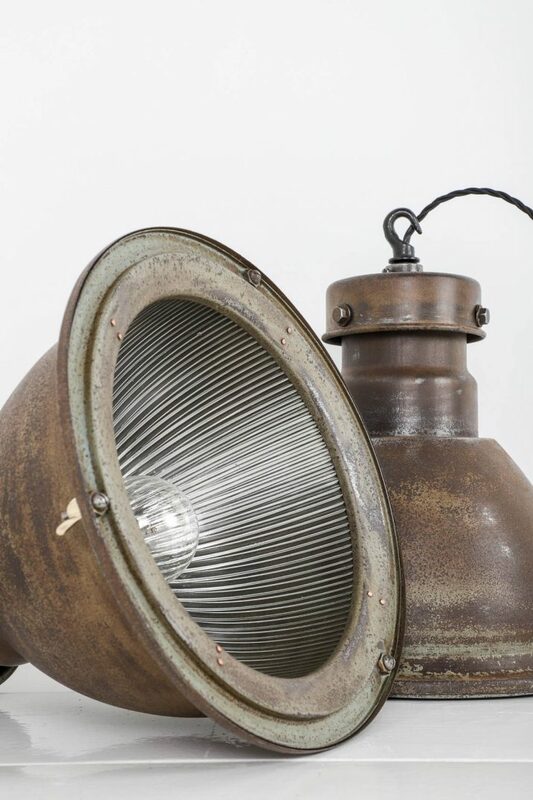 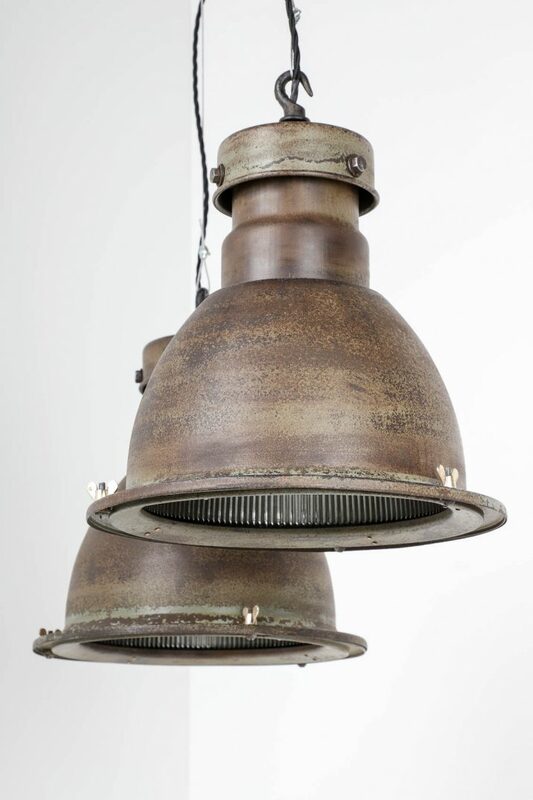 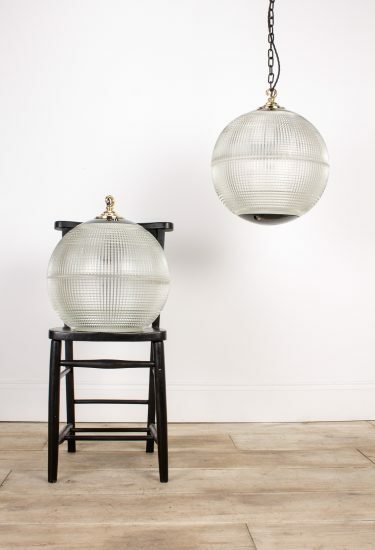 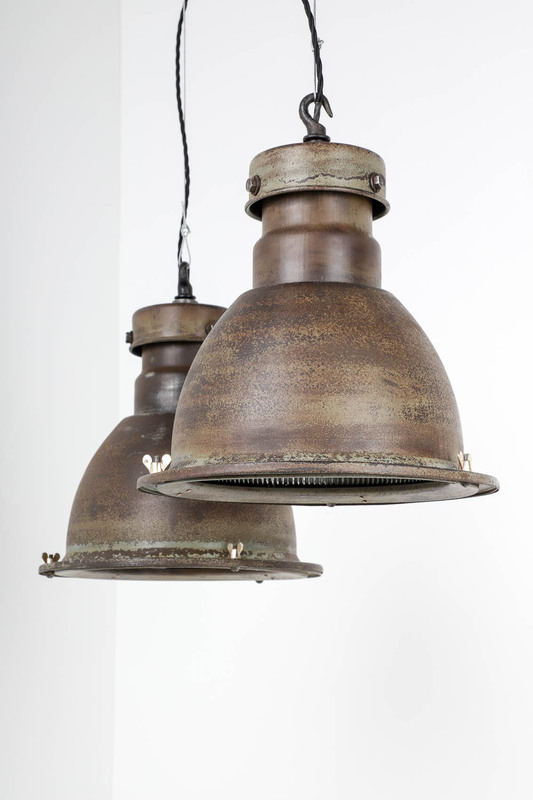 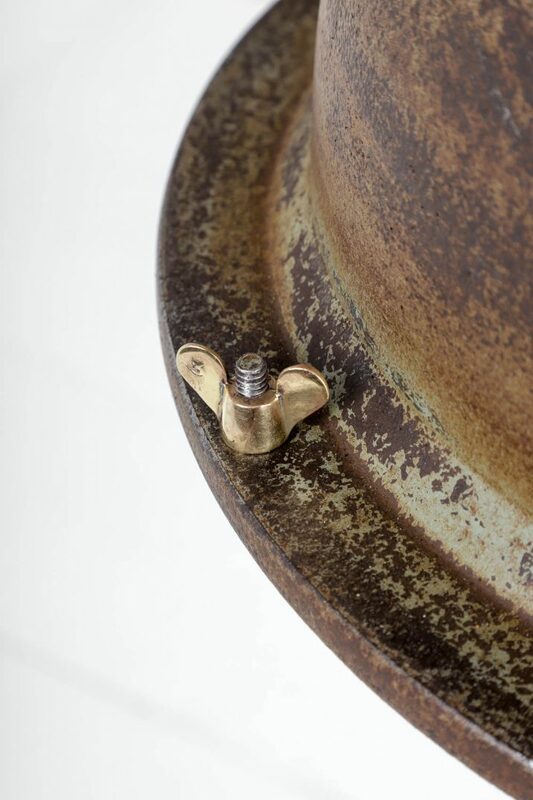 These beautifully aged prismatic lights ooze industrial quality. 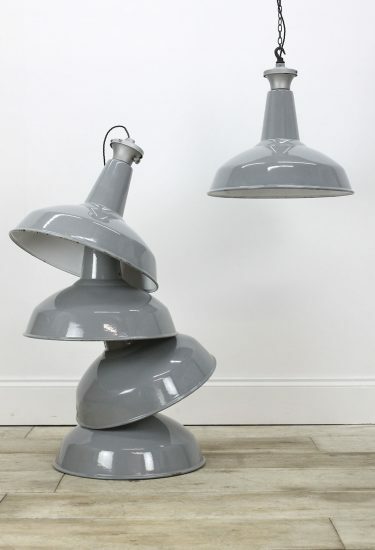 Salvaged from Battersea Power Station in London UK, these are an incredible find. 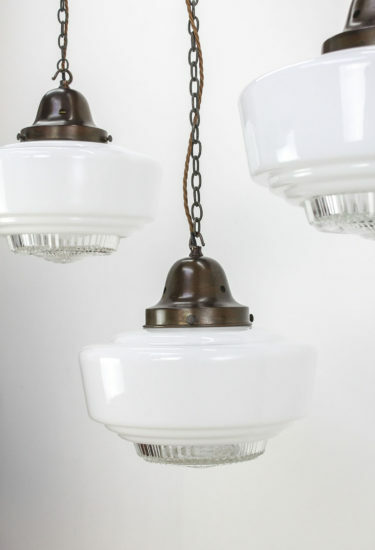 Fully restored; they come complete & ready to hang. 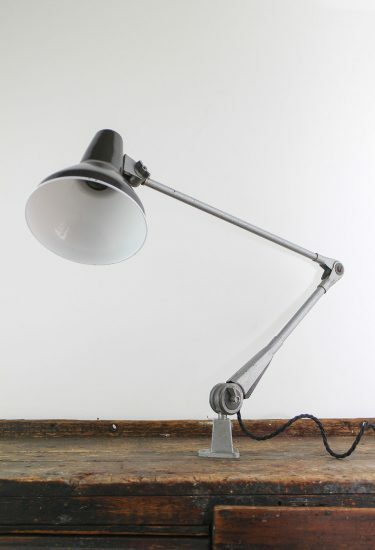 Price is per light – 6 available.